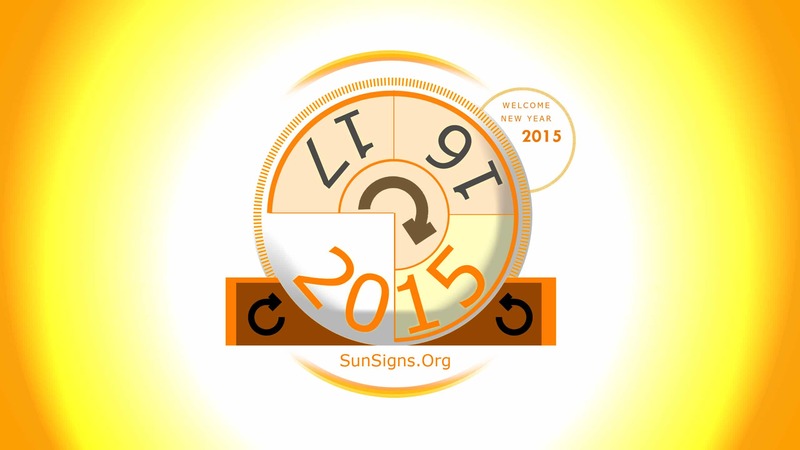 The 2015 Horse horoscope predicts a year of major transformations and changes. The Year of the Green Wood Horse for the Chinese horse zodiac sign might prove to be challenging. But thanks to your undying optimism and true fighting spirit, you will fight against all odds and come out a winner. As the Goat and the horse are compatible Chinese astrology signs, you will be blessed with harmony and balance in the coming year. The year 2015 is one of abundance for the Horse. Always the optimistic person, others are drawn to your happy-go-lucky attitude. The 2015 Chinese zodiac forecasts suggest that your ability to manage your money serves you well in the coming year. Consult a professional before parting with your hard-earned money. Your career takes off in a new direction. Keep your focus to maintain your position. A new love interest shows up from an unexpected source. The Horses need to be patient with their heart. Friends come and go, but your family is there when you need them. You maintain your healthy life style, but not without some new work out additions. Include your friends in some fun activities. 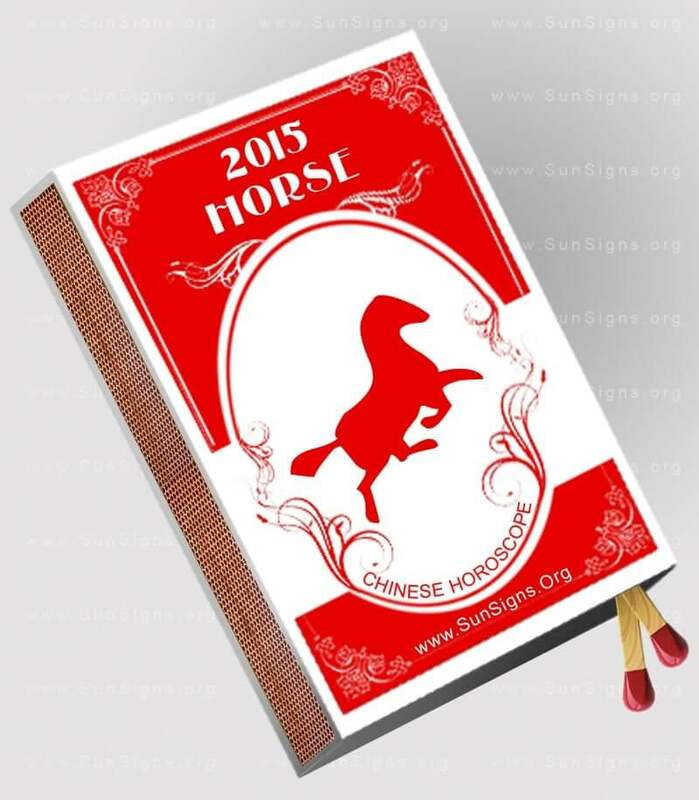 The 2015 Feng Shui yearly forecasts for the Horse zodiac sign foretell of a pleasant year in terms of career and money. Just be a little careful when it comes to love and relationships. Be it friends or love, you will face some obstacle on this aspect of your life. Luck is in your favor, but that does not mean that you will be successful. So make it work for you! (Feng Shui Tips For A Happy Marriage). The 2015 Horse horoscope predicts that love and romantic relationships will be in your favor. Singles will find their true love. Married couples will enjoy good understanding. This is also a good year to get pregnant for horse natives. Relationships will be full of fun and life. So enjoy yourself with your beloved! In the area of love, the Chinese zodiac compatibility predicts that you haven’t been so lucky, but that is about to change. You are a little impatient when it comes to waiting for things you want. You have been looking in the wrong direction and chasing the wrong interest. If you are giving your best to someone and it isn’t enough, you’re giving it to the wrong person. Let go of ‘if only’ and ‘what if’ and discover new possibilities. A true, deeper love comes to you from a most unexpected source, but you must be open to receive love. You are a winner in most all areas of your life. If you are already in a relationship, continue your loving, nurturing ways. Your partner will appreciate it and your love life will flourish. The horse 2015 horoscope predicts that you will make new friends in the year 2015. You will also lose a few too, but the ones who disappear were not close friends anyway. Your family ties are stronger than ever and you reap the benefits of this when dealing with a crisis. The Chinese horoscope 2015 predictions for the horse people predict that you will enjoy good relations with colleagues on the work front. This will help you get new business and complete your projects on time. Do not let feelings of jealousy or resentment crop up, as this might spoil your relations. The horse animal sign need to be prepared to face major changes on the job front. This might mean that you need to get out of your comfort zone, if you want to take full advantage of it. Initially it might seem difficult and not very promising. But in the long run, this will also be the main reason for your great accomplishments in life. The 2015 Horse horoscope foretells that your career soars in the coming year. All the hard work you have put into your job, finally pays off. Along with your new position, comes a hefty pay raise, but you will have no problems putting this new cash to good use, as you have always been smart with your money. Research any investment interests you might have. It is a smart decision to consult a financial advisor before playing the stock market. Don’t let others distract you from your goals. Some continuing education might be in order for people born in the year of the horse. This will keep you abreast of the latest changes in your field of work. Stay focused on the prize. Others will look upto you as to how to climb the corporate ladder like a pro. (Get your corresponding Gemini 2015 horoscope predictions). The year of the sheep 2015 predictions for the horse forecasts that this year might be a little bit problematic on the health front. But nothing is impossible. If you take the necessary precautions beforehand, Horse, then you need not worry about your well-being. Meditation and alternative healing therapies can give you excellent relief from stress and fatigue. The 2015 Chinese horoscope foretells that you will need to amp up your workout routine if you want to maintain your healthy lifestyle. Perhaps a yoga or pilates class would increase your stamina. Meditation is also good for the entire body, not just the mind. Don’t neglect your mental health. Relax at the end of the day with relaxing music and meditation to release stress from the day and unwind, making sure you get a good night’s rest. You have been thinking of a cleansing or detox treatment. These are good habits in moderation for the horse, but be careful not to use them too often. You will need to invest in athletic gear to support your joints, knees, ankles, etc. Mix up your workout routine by signing up for a Mud Run with friends or running a 5k for a cause that is near and dear to your heart. The 2015 Horse horoscope predicts a harmonious and stable year. People born under this sign have big dreams but do not have the focus to reach their goals. But in the year of the goat, you will have the ability to implement your ideas and dreams. You have worked hard enough for it. So now that you are getting the opportunity, just go for it!